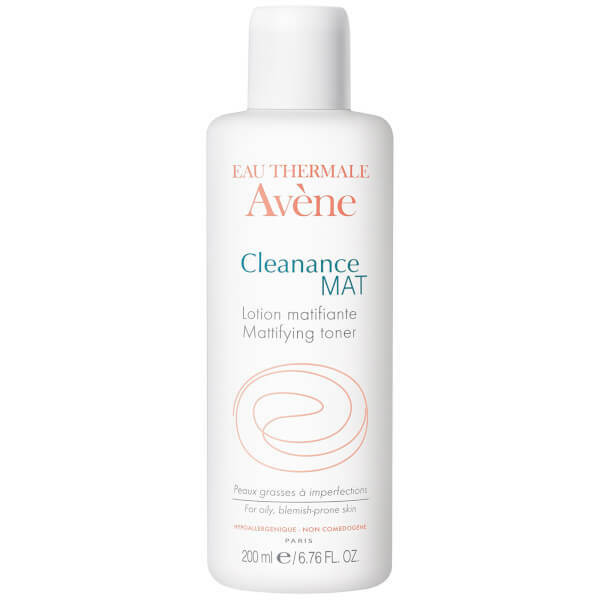 Treat your skin to Avène Cleanance MAT Mattifying Lotion, a multi-tasking toner that works to purify the skin whilst regulating oil production. A biphasic formula, the lotion's transparent phase cleanses the skin and tightens the look of pores, whilst the powered phase controls sebum production to leave your complexion with a healthy-looking, matte finish. Shake well before use. Apply morning and evening to the face with a cotton pad, concentrating on the T-zone. 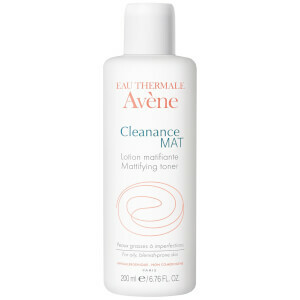 Use after cleansing. Avene Thermal Spring Water (Avene Aqua), Dipropylene Glycol, Sd Alcohol 39-C (Alcohol Denat), Zinc Gluconate, Fragrance (Parfum), Glyceryl Laurate, Peg-40 Hydrogenated Castor Oil, Ppg-26-Buteth-26, Salicylic Acid, Silica, Stearalkonium Hectorite, Triethanolamine, Water (Aqua).